How do I migrate to a new site location? This question is about cloning or migrating your site to a different URL, using UpdraftPlus’s “migrator” feature (which is part of UpdraftPlus Premium). It is not about restoring your site into the same webspace it was in before. Migrating is especially useful if you want to clone a site for testing, or move to new hosting and test before you make the new version live, and many other similar scenarios. 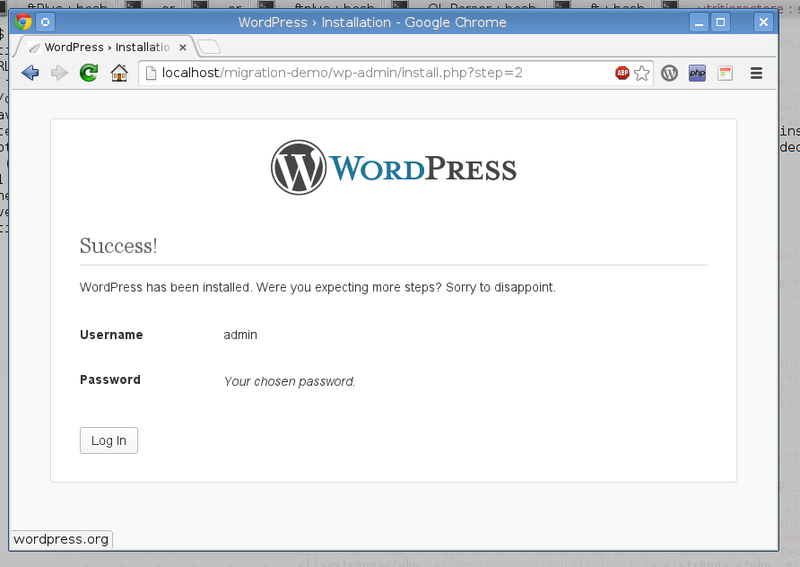 In the example below, we are migrating into a completely empty WordPress site (i.e. a new install which we made). However, you can migrate into an existing site – for example, if you are updating a development/test version of your website with a new upload. If you’re doing that, then you’ll be able to skip a few of the steps below. By the way – before you begin, try to turn off any proxies that are between you and your site, such as Cloudflare, GoDaddy’s “Preview DNS” proxy, or Opera Turbo/Road mode. These can get in the way. Also, cacheing and minifying plugins are a possible cause of migration problems (whatever method you use). 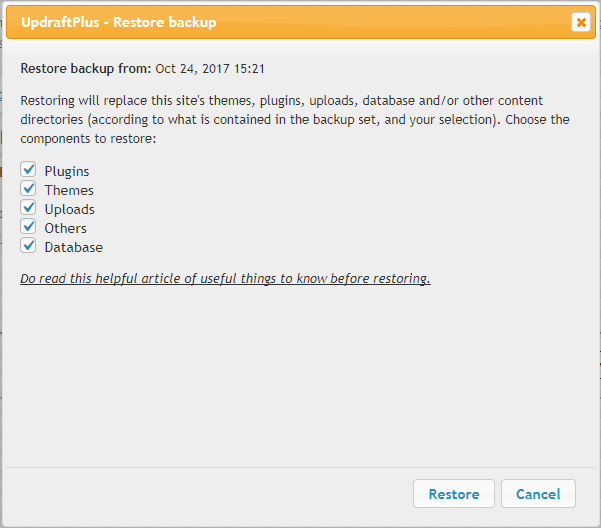 If possible, disable all of those before you create your backup – or alternatively, just be ready to turn them off if the migration stumbles. Note: If you are using a WordPress Network/Multisite install (you’ll know if you do – you would have taken special steps in setting it up), then you’ll need to first set up the second site as a network – this is not done for you. The Migrator is designed to migrate between equivalent sites (i.e. normal install to normal install, or network to network), but not from one type to another. The next step is to install and activate UpdraftPlus, of course. If you don’t remember how to do that, then go here. 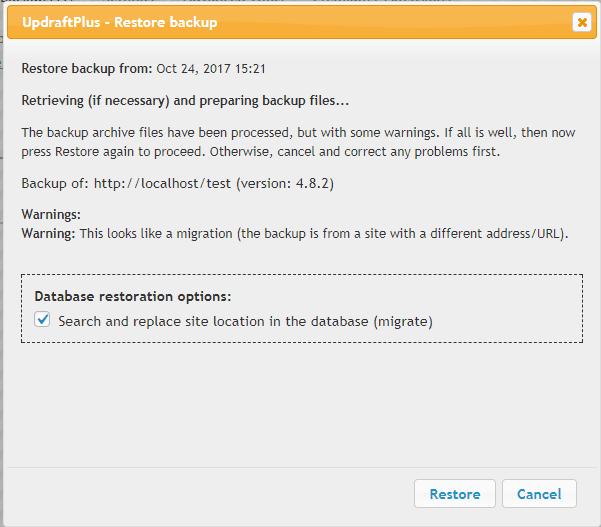 You’ll also want to install UpdraftPlus Premium, or the stand-alone “Migrator” add-on (depending on which you bought) – instructions for that are here. Note: Here we’re talking about installing into the “new” site – i.e. the one that you’re migrating “into”. 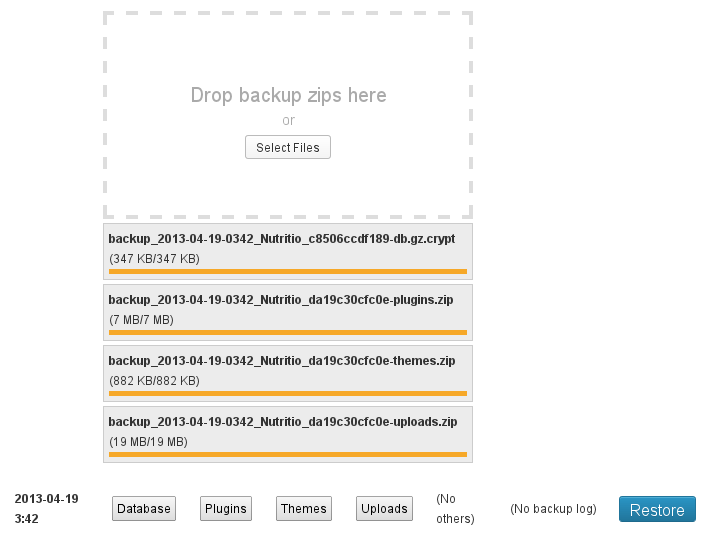 Next you’ll need to upload your backup files into UpdraftPlus. There is more than one way to do this – you can use any way you like. 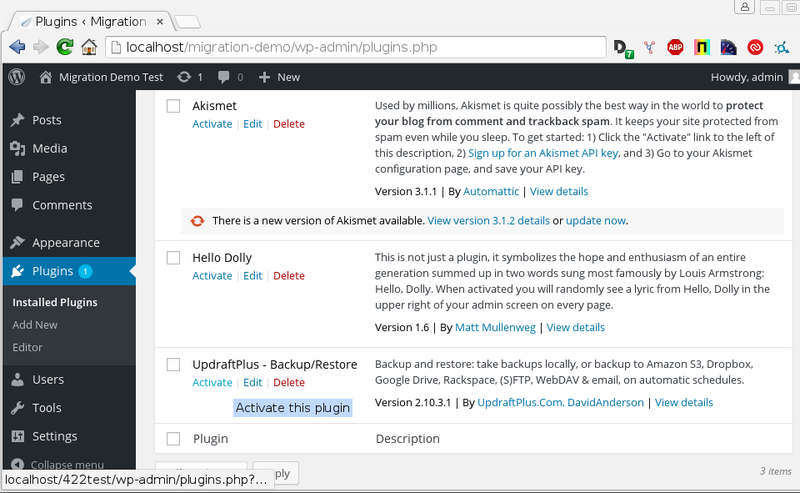 Install the UpdraftPlus Migrator component on your source website, and send the backup over directly. (Press the “Clone/Migrate” button on the source website, and follow the instructions shown there). OR, download the backup set from your source site (or from your Dropbox, or wherever you stored it), and upload into the ‘Existing Backups’ tab on your destination site. OR, set up the destination site to use the same remote storage (e.g. same Dropbox) as the source site, save your settings, and then press the “Rescan remote storage” link in the ‘Existing Backups’ tab on your destination site. 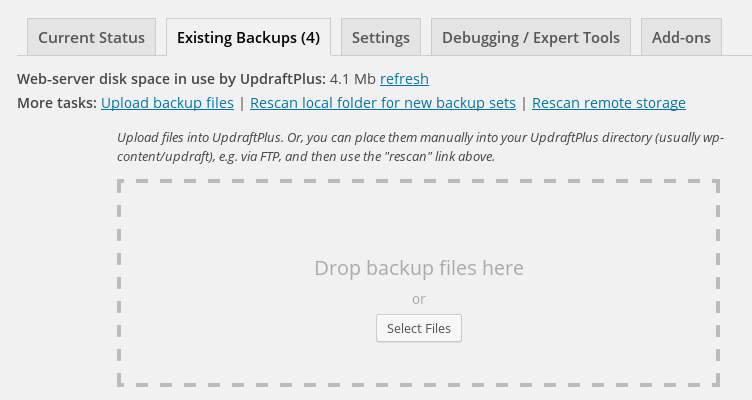 OR, download the backup set from your source site (or from your Dropbox, or wherever you stored it), and use FTP to upload into the UpdraftPlus folder on your destination site (wp-content/updraft), and press the “Rescan local folder for new backup sets” link in the ‘Existing Backups’ tab on your destination site. To use method 1. (sending data directly), you can switch over to these instructions, which cover this method. If you are restoring from nothing, then you will want to check all the boxes, to restore every part of your site. Then press “Restore”. Important: Since this is a migration, after clicking ‘Restore’, you will also need to check the “Search and replace site location in the database” option. 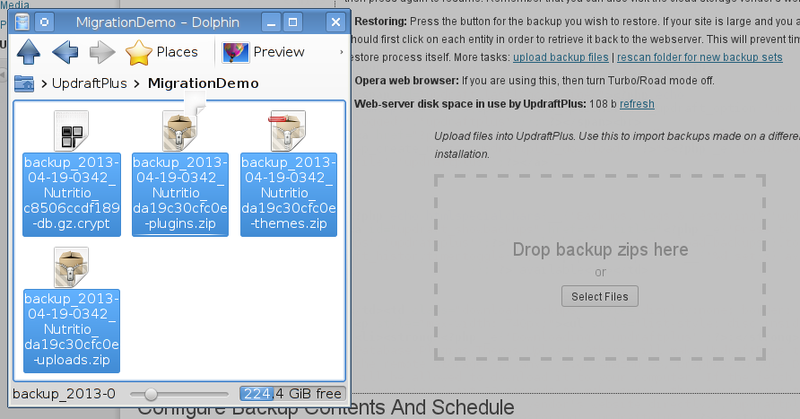 This option is what will instruct UpdraftPlus to fix everything in your database for your new location (URL). (If you forget to do so, then it is not fatal – here are the instructions to recover). Are you curious as to why UpdraftPlus does not ask you to type in any old or new site URLs for the search & replace? That’s easy – it already knows the new site URL (because it knows what site you’re visiting the dashboard for), and it can get the old site URL out of your database backup. 6. Watch the restoration succeed! 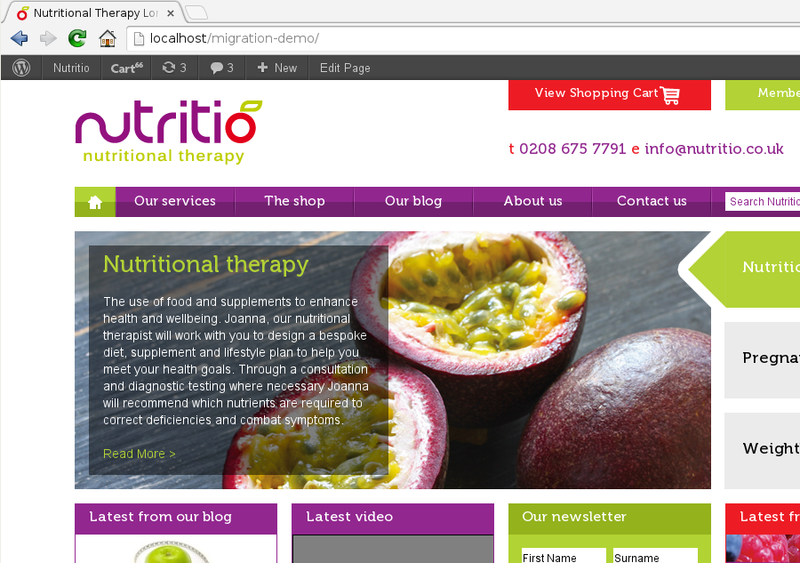 Now, we visit the front end of the site, and it’s all migrated – what a beautiful website! If something went wrong, then don’t panic – it may be easy to fix. Even if it’s not, then there’s still nothing to worry about – the UpdraftPlus backup files are just standard zip and SQL files which can be used to restore your site another way. 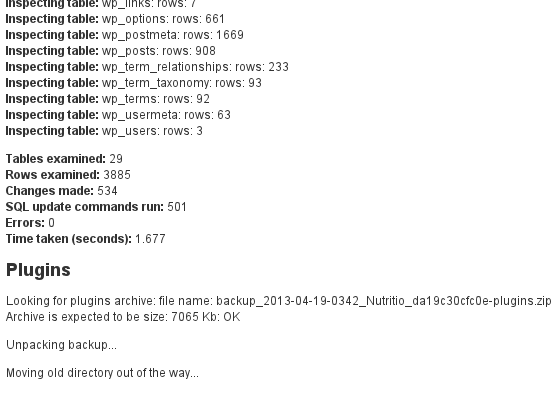 However, before you give up, do try looking in your web server’s error logs, and turn on WP_DEBUG in wp-config.php. Also, cacheing and minifying plugins are a common cause of migration failures – so disable any of those and see if that helps (either through the dashboard, or via renaming their directories inside wp-content/plugins). Migrations not working first time is not a sign of something hugely wrong. 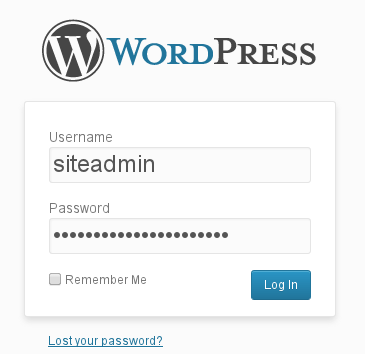 WordPress is a big, complex beast. Nothing can be perfect. If you find out a way that we can make a failed migration work for you, then please just let us know.